SADU traditionally held the third trade union school. 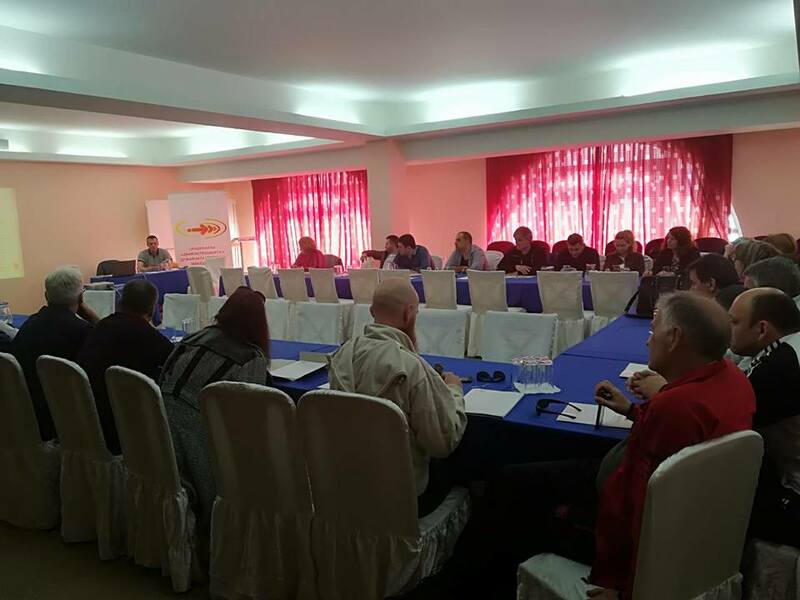 The trade union school was held from 29.03 to 01.04.2018 in hotel Biser, Struga. The topics that were envisaged and processed are actual in our society and are from great interest to the employees. members of SADU. These are topics in the area of ​​trade union movement, for which it is constantly necessary to inform its members, their rights and obligations, mobbing at workplace, social dialogue and partnership, the right to strike, the right to protest and other relevant rights that are covered by the Law of Labor Relations. At the trade union school the participants analysed the Law of administrative officers. The sessions were delivered by the lecturers, Dr. Marjan Patlejjankovski and Prof. Dr. Lazar Jovevski. The themes were a great challenge for the participants because of their great comprehensiveness and they were debated in which they had great involvement and interest. The participants during the lectures had the opportunity to comment on the application of the Laws and their proposals for future changes, which concern trade union members.